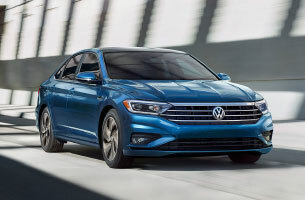 The all-new 2019 Jetta, based on the Volkswagen Modular Transverse Matrix (MOB), is now longer, wider and taller which allows for a more spacious cabin ride for all. In addition to the exterior updates, the interior has been updated with exceptional enhancements based upon trim levels (S, SE, SEL, and SEL Premium). The consumer is put first with this design as the vehicle's technology and safety features are exceptional. The technology upgrades include a comprehensive suite of available driver assistance technology and rearview camera; and the safety features meet and exceed crash regulations. Exterior upgrades featuring a sportier and sleek design: LED lights, panoramic sunroof, 17" alloy wheels, turbocharged engine. Interior updates focusing on technology and safety: adapative cruise control, App-Connect, automatic post-collision braking system, BeatsAudio, tire pressure monitoring system. *6 years/72,000 miles (whichever occurs first) New Vehicle Limited Warranty on MY2018 and new VW vehicles, exluding e-Golf. 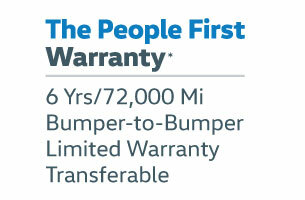 Remainder of warranty coverage transfers to subsequent vehicle owner. See owner's literature or dealer for warranty exclusions and limitations.